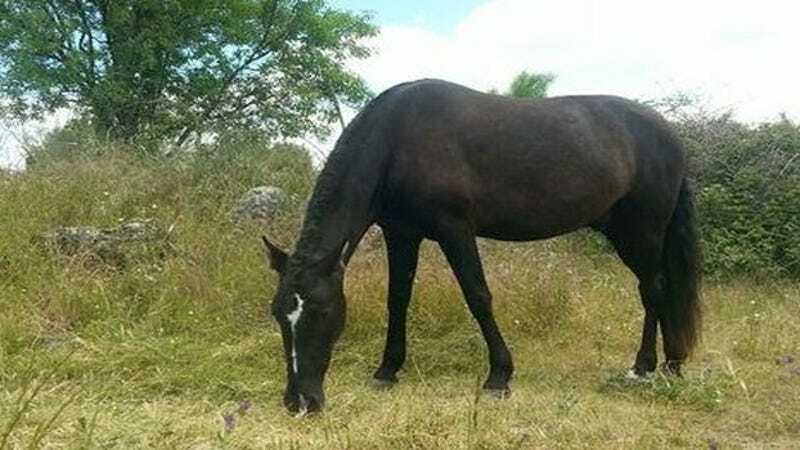 Venezuela's worsening food shortages had tragic consequences for a rare show horse last weekend, when a group of intruders broke into the zoo, pulled the black stallion from its cage, then slaughtered it for meat. Prosecutors say the crime occurred in the small hours of Sunday morning at Caracas' Caricuao Zoo, when "several people” sneaked into the state-run park under the cover of darkness and busted into the stallion's pen. The horse, the only one of its kind in the zoo, was then led to a more secluded area and butchered on the spot. Only its head and ribs were left behind in a gruesome pile for zookeepers to find after sunrise. Sadly, this horse wasn't the first zoo animal to suffer the effects of Venezuela's crippling food shortages. Some Vietnamese pigs and sheep were reportedly stolen from the same zoo earlier this month. Meanwhile, larger animals are reportedly showing signs of emaciation as the zoo runs out of feed. Recently two tapirs died of malnourishment, and zookeepers have resorted to feeding hippos, elephants, and goats an unusual diet of locally grown mangoes and squash while they wait for food supplies to arrive. “The situation that our zoo is going through is very sad,” said Marlene Sifontes, a union leader at INPARQUES, the government agency that runs the Caricuao zoo. “We have animals that have not eaten for up to 15 days, which affects their health,” Sifontes told Reuters in a recent interview. Many Venezuelans outside the zoo aren't faring that much better, as they continue to make long lines in front of supermarkets in the hopes of finding basic goods like meat, rice, or chicken. Economists say that strict price controls and foreign exchange controls imposed by Venezuela's socialist government have worsened food shortages for both humans and animals, as they make it unprofitable for businesses to import or produce food. But the government has not said anything about changing these policies. Instead, the ministry of labor is proposing new regulations that would allow the government to force private sector employees with experience in agriculture to leave their jobs to temporarily work at state-run farms and food-processing centers. Sifontes says that at the very least, the Caricuao Zoo needs more security to prevent more animals from getting turned into steaks. Manuel Rueda is a correspondent for Fusion, covering Mexico and South America. He travels from donkey festivals, to salsa clubs to steamy places with cartel activity.